It’s time to reveal the winners for the Best of Chickasaw Country. To each and every one of you who took the time to nominate us for four separate categories, we couldn’t be more thankful. This year, WinStar World Casino and Resort was nominated for Best Casino, Best Lodging, Best Live Performance Venue and Best Golf Course. We were thrilled to receive nominations for areas of our resort that we are so proud of. We are extra excited to announce that we took home the honor of Best Live Performance Venue in this year’s Best of Chickasaw Country. Let’s take a look back at a few of the reasons you chose WinStar’s Global Event Center as the Best Live Performance Venue this year. 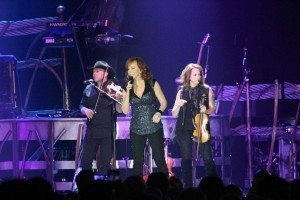 Remember when Reba rocked our world? 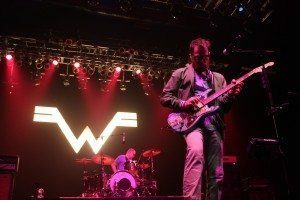 Or how about that time Weezer told us how to destroy their sweaters? Let’s not forget about all the laughs from Steve Martin, Martin Short, Craig Ferguson, Penn & Teller and Kevin Hart. Star-studded musical acts like Blake Shelton, Sturgill Simpson & Jason Isbell, Kacey Musgraves, Pittbull, Jeff Beck, Bob Dylan, Harry Connick Jr. and Jackson Browne had us dancing and singing all of our favorite tunes for days. That’s right, the past year has been a great year for live performances at the Global Event Center. If you thought 2015 was great, you’ll love our lineup for the rest of 2016. We hope you’re planning to join us for big acts like Chris Stapleton, James Taylor, Tim McGraw, Paul Simon, Nick Offerman and John Fogerty. Thanks again for choosing WinStar’s Global Event Center as the Best Live Performance Venue in this year’s Best of Chickasaw Country. Follow us on Facebook and Twitter and Instagram to keep up with all the amazing things happening at WinStar World Casino and Resort. Q&A with WinStar Golf Instructor Jon StephensonMega Frenzy Bingo is at WinStar!